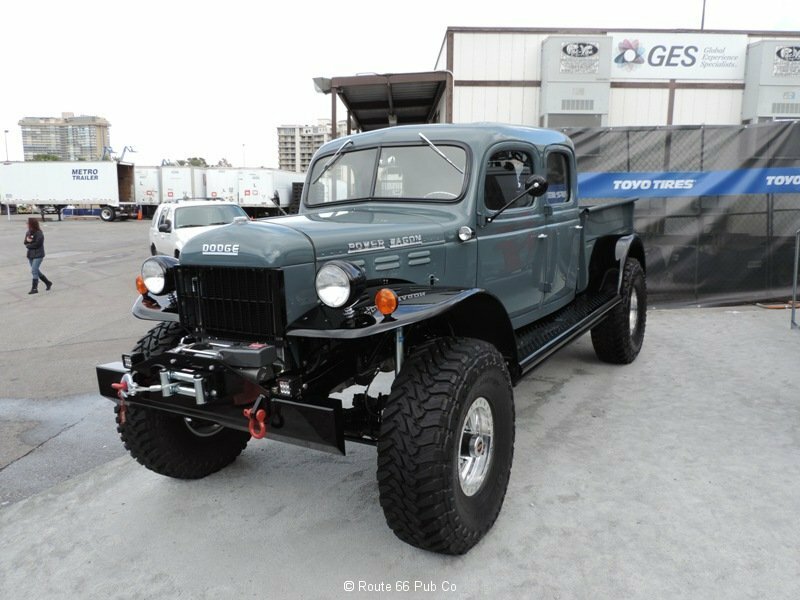 Power Wagon’s were produced by Dodge and were popular heavy duty, four wheel drives, before every truck line was offered as a 4X4. They were popular after WWII, as our GI’s came back and wanted a domestic version of their military masters. 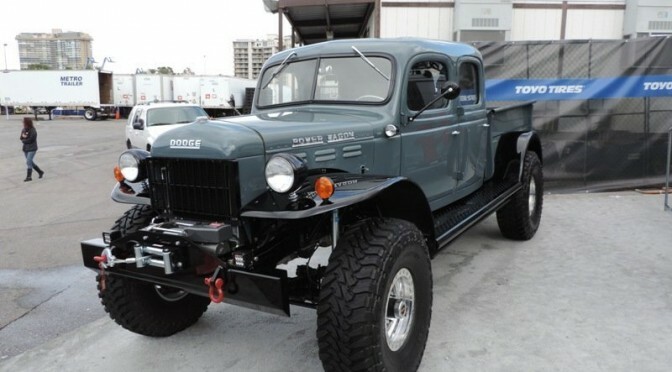 So Dodge “civilized’ their military monsters and offered up the Power Wagon. 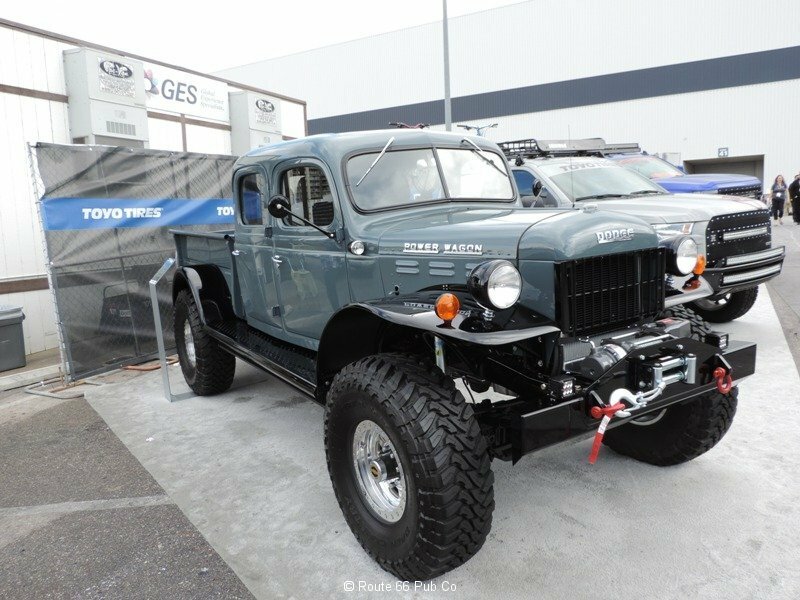 Jay Leno’s Garage recently took a look at a 1942 Dodge Power Wagon that was modified into a six wheel drive monster. 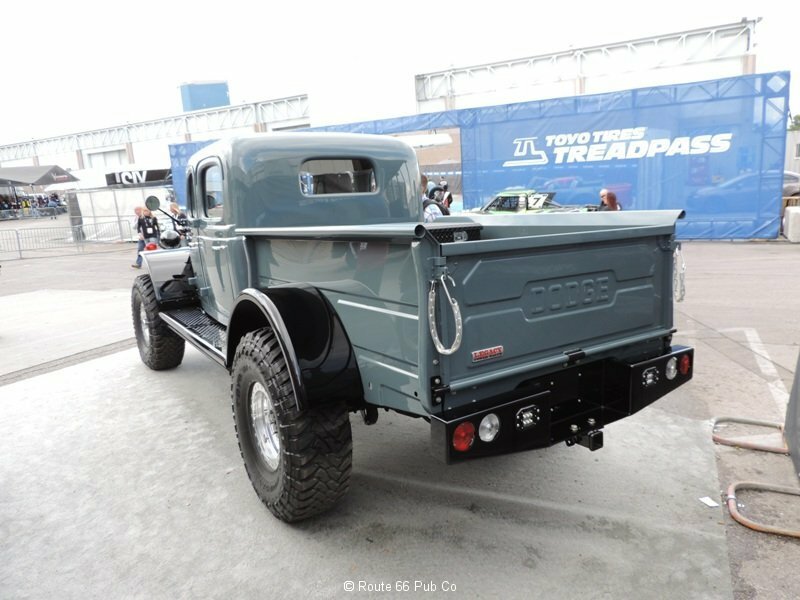 That reminded us of a similar FOUR wheel drive Power Wagon that we saw last year at the SEMA Show. 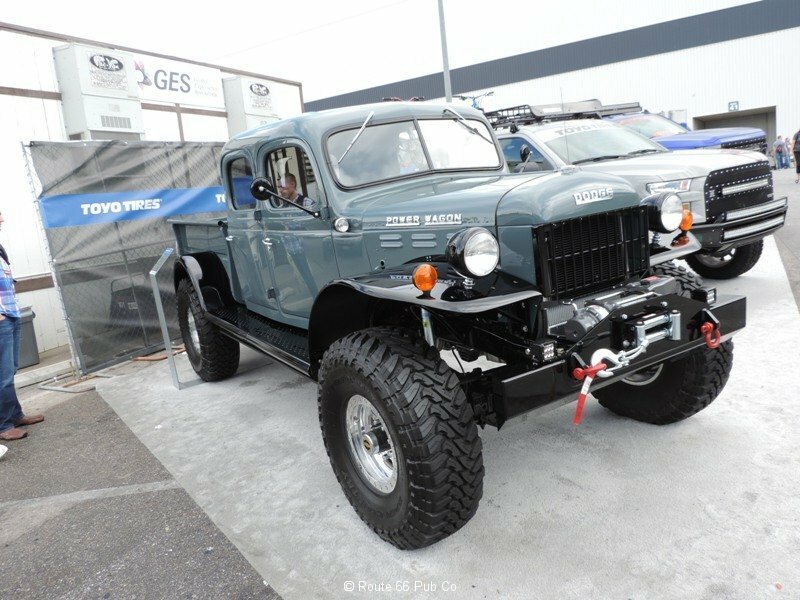 It’s a 1949 Dodge Power Wagon Four Door or Crew Cab. 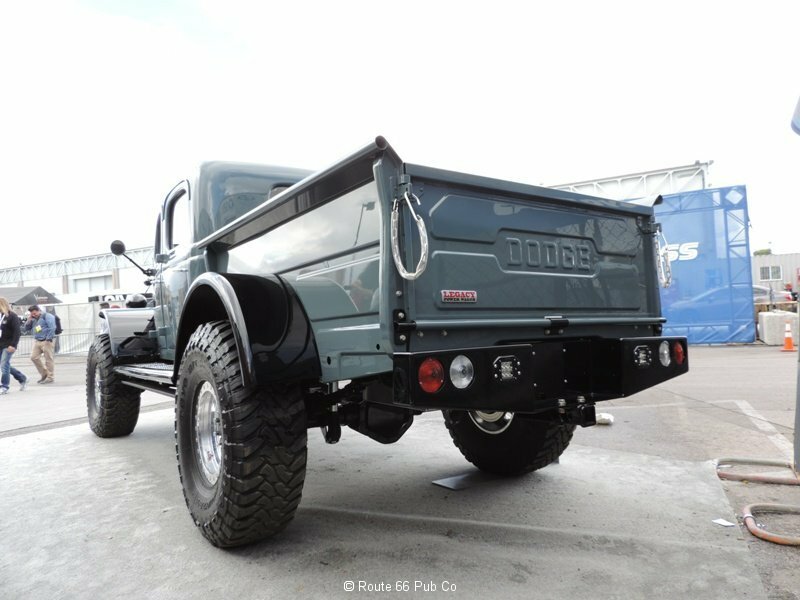 This baby was heavily modified and pounded on to make it look this beautiful. 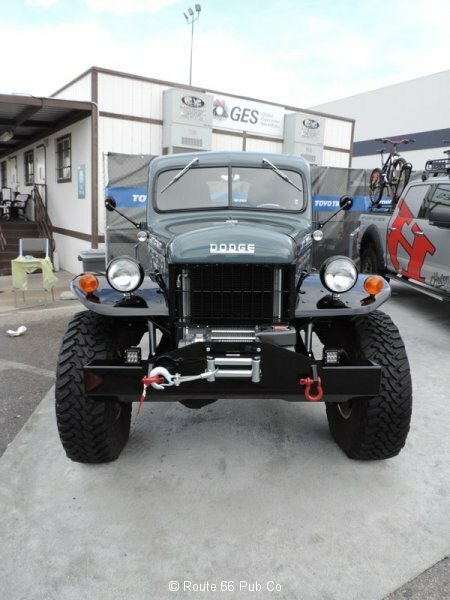 It is powered by a reliable Chevy LS3 engine with a 6.2 liter displacement, producing 430 horses and 424 foot pounds of torque for this bad boy. 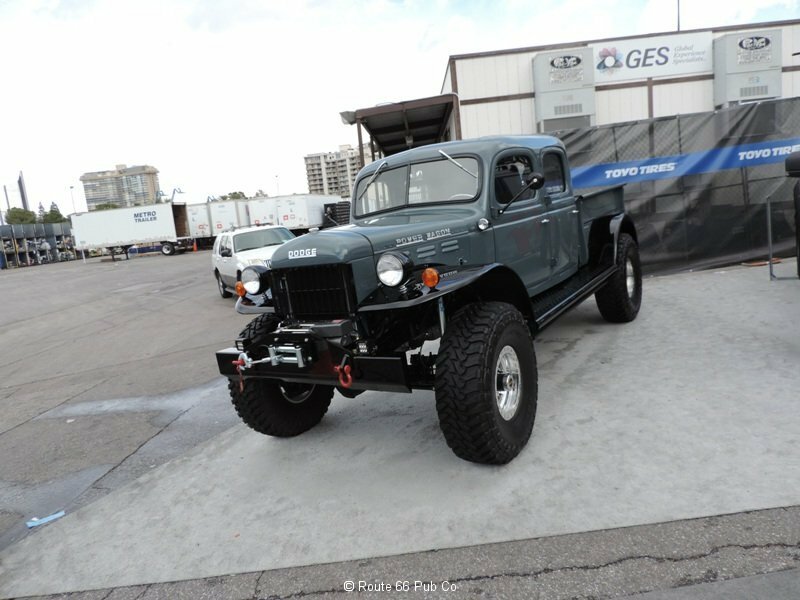 It also kept it in the family with a GM transmission; a 4L85E along with an Atlas transfer case. 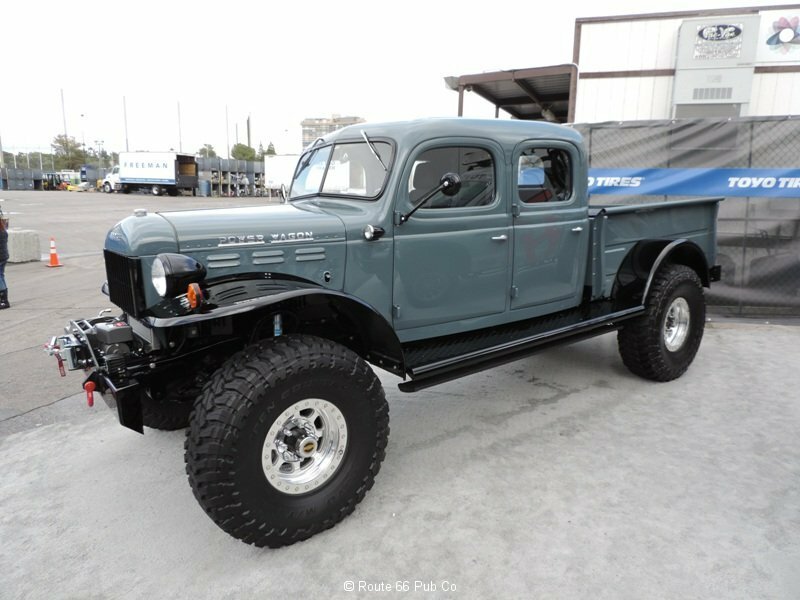 They used a Dana 60 front axle, a Corp 14 bolt rear end with locking differentials and Warn locking hubs. They are using Bilstein shocks to smooth out the ride. Creature comforts included not only power windows and door locks, but power running boards plus Vintage Air Conditioning. Can’t expect either ride to get any “Arizona pin striping” soon, but they are sure beautiful brutes.